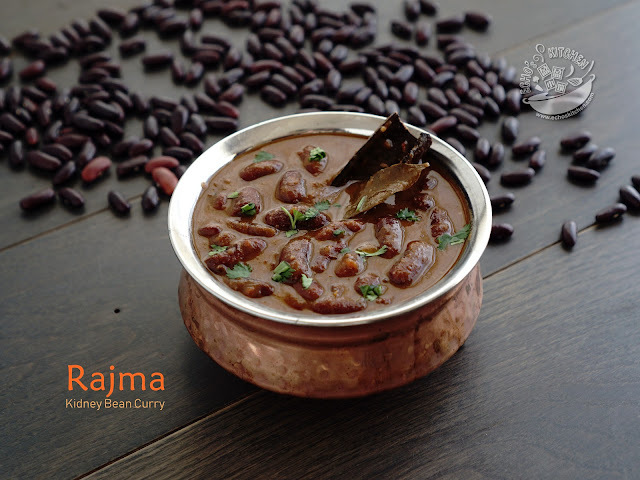 If one go through recipes of Malaysian cuisine, one will definitely find the use of chili in many forms, evidence of the love of spicy food by the people. The other good indication of the love of chili is at the vegetable market (Pasar), be it wet or morning market, every stalls and even the so-called high end supermarket in big shopping malls will surely carry some Chili Boh -- a type of simple chili paste made with the common ingredients of Malaysian cuisine. This Chili paste is highly versatile and could be used with many different kind of ingredients for different recipes.Being out of the country, I have no choice but to homemade everything (well... most of the things) I needed in order to make foods that I missed. So I do almost always have a box of this Chilli Paste in the fridge. 1. Peel shallot and garlic, remove stem of fresh chili, soak and remove stem of dried chili (for lesser heat, remove seeds). 2. In a blender, use 1/2 cup of oil and 1/2 cup of water to blend all the ingredients together into a smooth paste. 3. 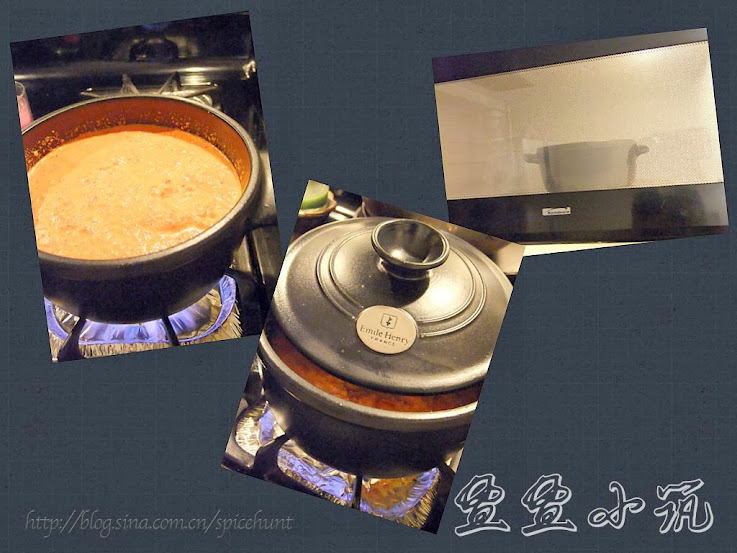 Place the paste in a cooking pot, bring to rolling boil then turn to low to continue cooking until oil separated at the edge. Keep stirring in between to avoid sticking and burning at the bottom. It should take about 35 minutes. Note： I made mine sometimes in microwave. Pour the blended chili paste in a microwavable pot with lid (I used my Emile Henry clay pot), cover with lid and microwave for 6 minutes, take it out, stir well, and continue microwave at high again for 6 minutes, do it 5-6 times or until oil separated at the edge. 3. Cooled and store in air tight containers, pour 1/4 cup of clean cooking oil over the paste before storing, this could prevent mold forming. This Chili paste could be store in refrigerator for up to 1 month, 这款辣椒酱可以冷藏1个月左右，I had used it up to two months before and didn't notice any changes in taste. You are living away from home. Where are you living now? I'm a Singaporean living in Australia and know how much you and I miss traditional home-cooked food. 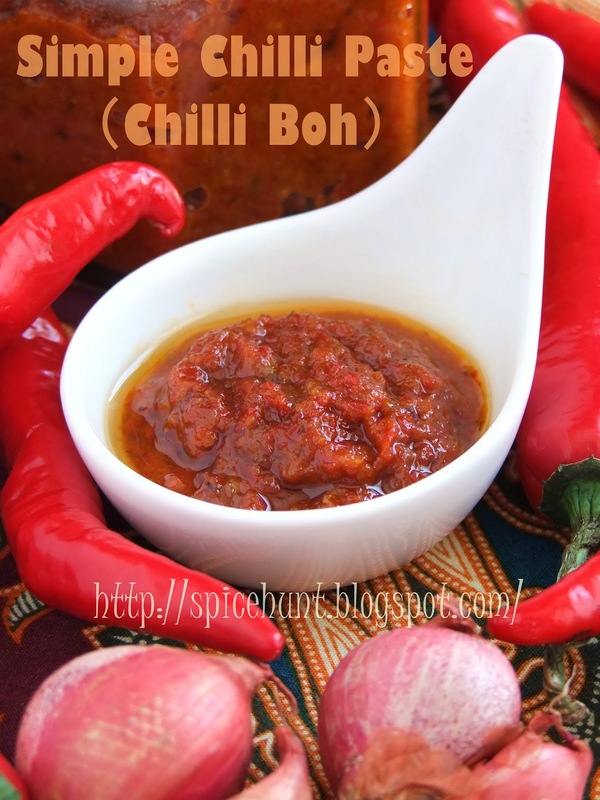 Thanks for your tips and recipe of making your own chilli boh. It looks delicious. Dear Zoe, welcome! And please stay in touch! Do you have a blog too?? I am in United States now.